Police releases sketches of two suspects wanted in connection with the shooting death of a hiker in the Oakland Hills. OAKLAND, Calif. -- Police are offering a $10,000 reward for any information on the fatal shooting of a 60-year-old man Tuesday at a park in the Oakland hills, East Bay Regional Park District police announced today. Officers responded to a report of gunshots fired Tuesday in the area of Huckleberry Botanic Regional Reserve, park district Lt. Gretchen Rose said. The park located on Skyline Boulevard, just south of Elverton Drive. A witness reported finding a man suffering from multiple gunshot wounds, police said. Oakland police and park district officers responded to the park where they found a man lying down on a trail south of the staging area, she said. Paramedics also arrived and pronounced him dead at the scene, according to Rose. The man was identified the next day as David Ruenzel, who police said was a regular hiker at the park and described him as "an upstanding citizen." Police said they are investigating robbery as a possible motive for the crime. Witnesses who were in the area said they heard three gunshots at the same time, Rose said. Officers searched the area but no suspects were found, police said. However, officers recovered spent shell casings and a bullet near where the victim was found, Rose said. Witnesses told police that they saw two men on the trail just before they heard the gunshots. The first suspect is described as a black or possibly mixed race man in his late 20s to early 30s with dreadlocks, a medium complexion, high cheekbones, narrow face, thin build and wearing dark clothing, police said. The second suspect is described as a black man who stands about 6 feet tall, weighs roughly 240 pounds, is clean-shaven, has short hair, out of shape and overly friendly, according to police. He was wearing dark clothes and a black backpack. 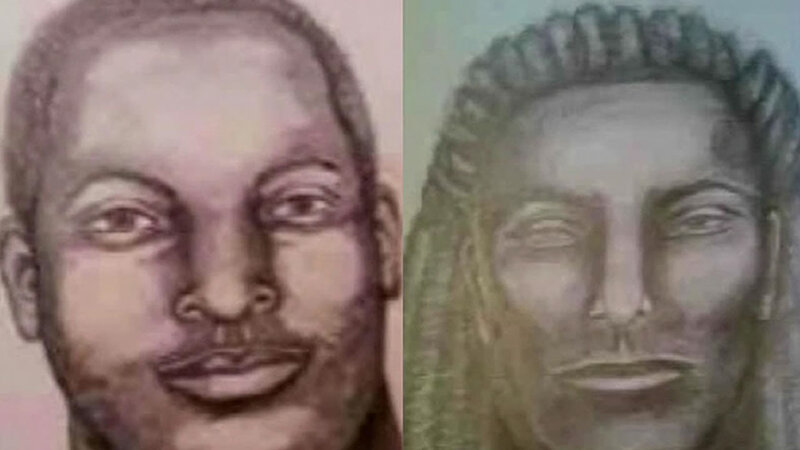 Police have released sketches of the suspects. Anyone with information on the case is asked to call the Police Department's investigations unit at (510) 690-6549 or dispatch center at (510) 881-1833. Calls will be confidential.